BMWs use an inspection system, which is a system of lights that alert the owner when the BMW needs a service or inspection. Although this system will get you through your warranty period, we strongly recommend that these services be performed more frequently than the lights may indicate. All 1999 and newer BMWs follow a computer-based service schedule which calculates many driving factors and then indicates on the instrument cluster when you are due for a service. It will typically calculate the need for an oil and filter service every 15,000 miles. It has been our experience at Braxton Automotive that these extended service intervals will cause excessive build-up of sludge on your engine cylinder head (see below) which can ultimately cause engine problems with oil delivery and oil return, plus timing system problems. The average driver will take more than a year to drive 15,000 miles. 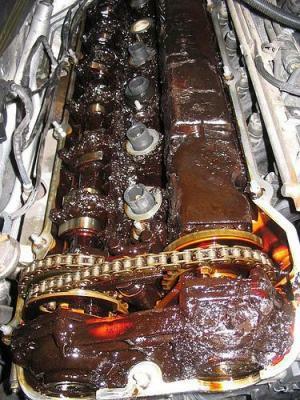 As nice as it may sound to not have to change your oil for more than a year, this amount of time leaves your engine oil vulnerable to combustion byproducts and oil break down. For these reasons, Braxton Automotive recommends changing your oil and filter every 7,500 miles or every 6 months, which is the exact schedule recommended before the 1999 computer-based BMWs came about. 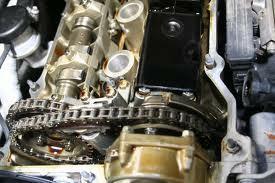 BMW's regular service routine includes Inspection I and Inspection II services. These inspections are to be done every 30,000 miles, rotating between the two. What are Inspection I and Inspection II services? These services/inspections include all items such as fluids, belts and filters along with an in-depth inspection that varies by year and model. Also, depending on the mileage, we may recommend other parts that we have consistently seen fail and affect your BMW's performance and reliability. 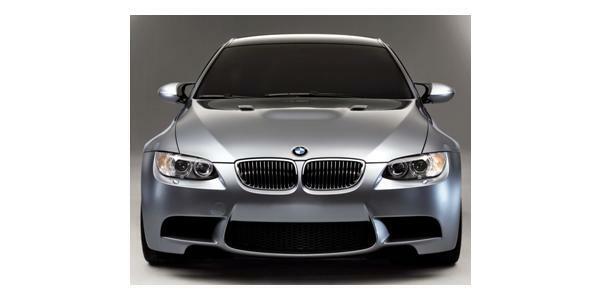 Braxton Automotive's technicians are highly-trained and have extensive experience in BMW maintenance and service. Because a BMW has a unique, rather complex computer system, it needs special factory diagnostic tools and scanners that many independent shops don't have. Braxton Automotive has ALL of the factory diagnostic tools and scanners that the BMW dealer has in order to properly diagnose your BMW. These tools give Braxton Automotive the capability to read your codes, accurately diagnose the problem and efficiently repair your BMW. Braxton Automotive has invested in these tools because we truly care for our customers and their car care experience.